In this short documentary, journalist Michael Altenhenne portrays a mother’s search for truth and her struggle against orcas being held in captivity. Featuring Mercedes Hernandez, mother of 29-year-old Alexis Martinez Hernandez, the trainer who was killed by Keto the orca during show rehearsal at Tenerife’s Loro Parque on Xmas Eve 2009, the documentary highlights her loss and why she believes these shows must now end. 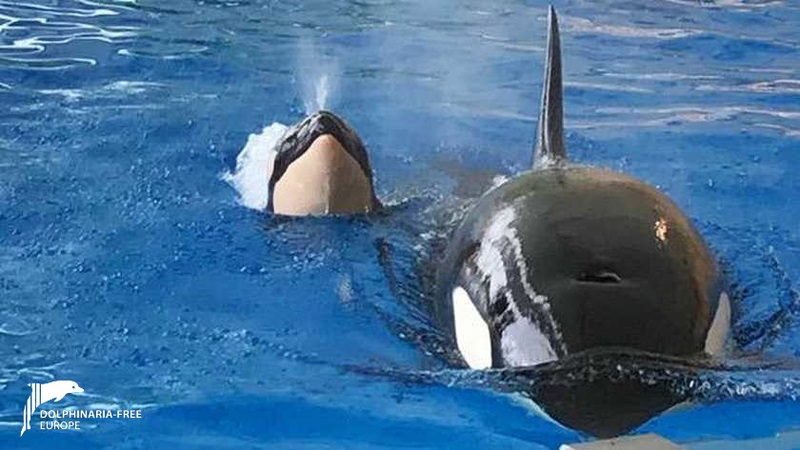 Since SeaWorld announced the end of their orca breeding programme, it was assumed that the orcas at Loro Parque, who were at that time included in SeaWorld’s collection, would be subject to the same conditions. 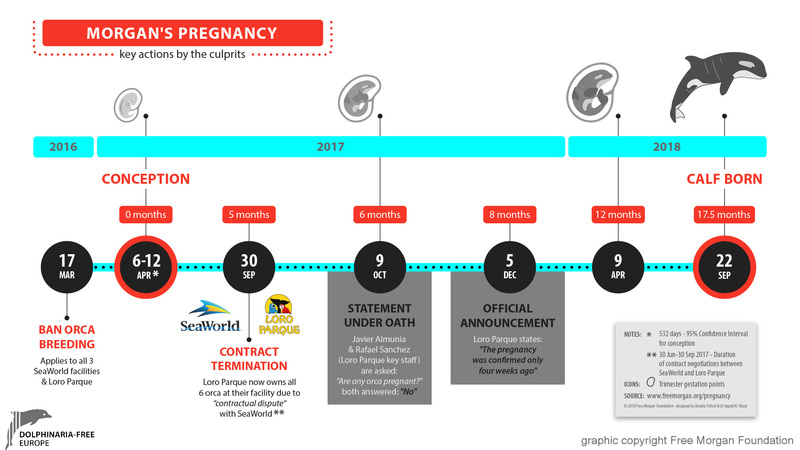 Since the announcement of Morgan’s pregnancy, the question of just when she became pregnant and whether both Loro Parque and SeaWorld had been aware of this when Morgan was still under SeaWorld’s ownership, have continued to be raised. 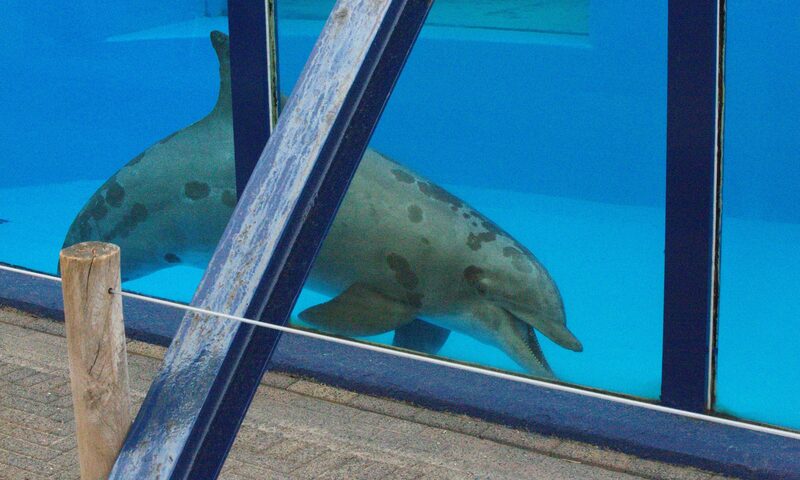 Free Morgan Foundation, members of Dolphinaria-Free Europe, have been advocates for Morgan since her initial capture, now report that her pregnancy didn’t happen in a vacuum. 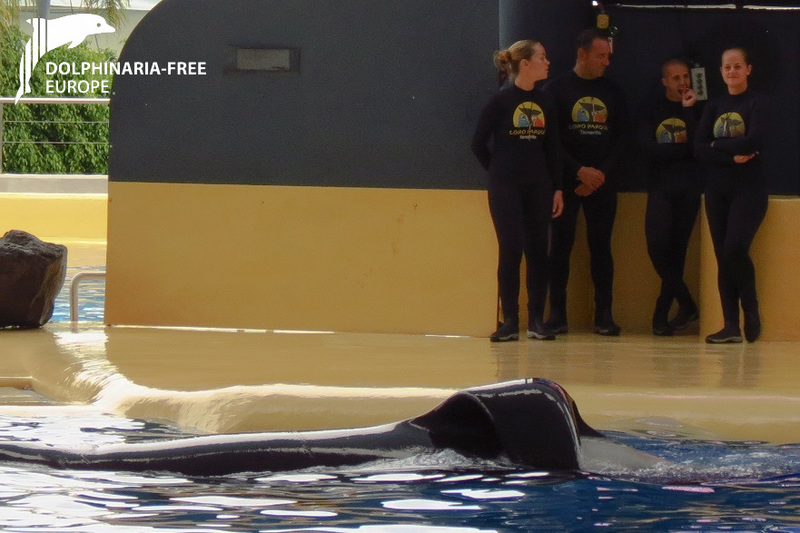 It wasn’t an “accident” as Javier Almunia (the head of Loro Parque Foundation and in charge of the orca) has claimed. Furthermore, the male orca who impregnated Morgan, belonged at the time to SeaWorld, who had a company-wide ban on orca breeding. 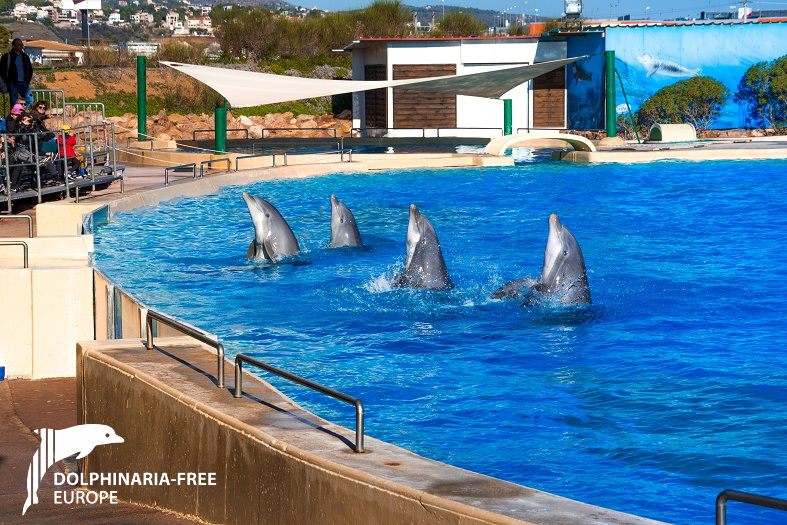 Following ongoing complaints and two years of campaigning against the dolphin shows at Attica Zoo Park in Greece, which flaunts laws banning animals being used to perform in shows, environmental inspectors have found the Park in violation of Greek law with regards to dolphin performances at the park. The facility did submit a license (2448/31-07-2017) however this was issued after the inspection had been undertaken by the Dept of Rural and Veterinary Policy of the Prefecture of Attica on 3.11.2016. This states that “keeping animals in parks is allowed under the condition that no shows take place with the participation of animals”. On the date of the inspection 3-11-2016, it was confirmed that at 11:00 a dolphin show took place in a restricted access area, in front of zoo visitors for 20 minutes. A fee of €3 per person was charged by those in charge of the facility. This was clearly in breach of the above law. Article 12 and 13 of Law N.4039/2012 have further been revised (article 46, paragraphs 8 and 9 N.4235/2014 to read: “Article 12: Prohibition in the use of any animal in any type of show and similar activities. 1 – It is forbidden to keep any kind of animal in a circus or variety show, if the animals are used in any way and for any reason in their programme, perform in shows or march or appear before an audience. 2 – It is forbidden to use any kind of animal in entertainment games companies, car shows, music festivals, folk festivals or other art or entertainment events if the animals are used in any way and for any reason in their programmes. 2a – Without prejudice to the provisions of article 7, it is forbidden to use animals in an outdoor public display with the purpose of economic profit. Attica Park claimed ‘biased misinterpretation of the law’ and ‘effort to create negative impressions’ on the park of the Environmental Inspectors, stating that this negates the violations. However, their claims cannot be accepted as the Inspectors noted down in their report what they saw during their inspection and it was on this their report was based. Furthermore, the facility owners claimed that they did have educational signs within the restricted activity area. However ,the show viewed by Inspectors on the day took place at a predetermined time in front of a paying audience where the dolphins were forced to perform a set of pre-determined exercises – not as a result of a natural or spontaneous behaviour but to command for food reward by trainers who also encouraged applause from the audience. 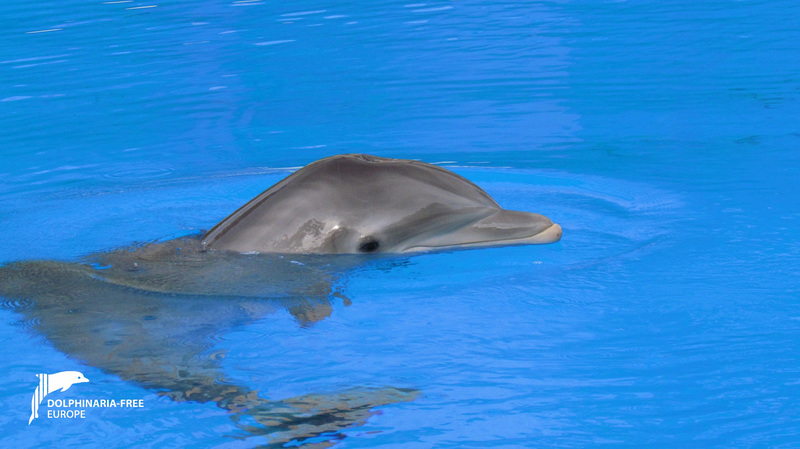 The company also claim that since January 2017 no fee has been charged for the dolphin show, rather a fee to enter the Zoo as a whole; this statement shows the for-profit character of this activity and again does not negate the violation to the prohibition of keeping animals for shows (articles 12 and 13 or N.4039/2012. 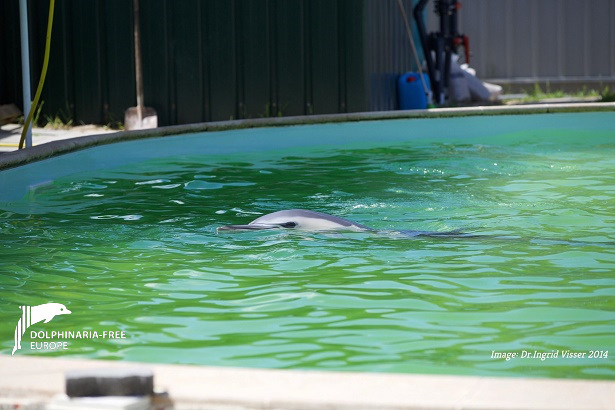 The Dolphinaria-Free Europe coalition will continue to support all attempts to have the Greek authorities now impose the existing law banning performances with animals, which clearly Attica Park has been found in violation of, and are calling for the park to be closed. Dolphinaria-Free Europe is supporting the call to find Martinha, a rescued female common dolphin who has spent the past decade confined to a tiny backyard concrete ‘swimming pool’ after stranding on the coast of Portugal in 2007. Martinha’s rescuers allowed her to languish in a waist-deep pool for 10 years, despite continued assurances that she would be rehabilitated and returned to the wild. In February 2017, the Martinha coalition received a letter from the Portuguese Government agency ICNF, on behalf of CRAM-Q stating that Martinha would not be released because of ‘chronic’ and ‘cyclic’ medical conditions (liver and digestive issues) but they were, however, looking for “alternative rehabilitation centres that could receive and take care of Martinha. Despite requests, there has been no evidence or confirmation of a move. Following the announcement by Loro Parque that Morgan the orca gave birth to her calf on 22 September at the facility, DFE members The Free Morgan Foundation explain why they will continue their legal efforts on Morgan’s behalf; asking why she was allowed to become pregnant when potentially still under the ownership of SeaWorld who had decided to end their orca breeding programme, and also exactly who the father of Morgan’s calf is. (FMF) remains committed to ensuring justice for Morgan and her calf. Morgan remains a protected Annex A specimen under EU law. The unauthorized act of breeding Morgan with SeaWorld’s male orca remains a focus of the FMF’s legal efforts. Our Petition before the European Parliament along with our pending court appeal in The Netherlands, are not affected by this troubling development. Quite the contrary; it reinforces our commitment to Morgan (and her calf) and the Rule of Law. Based on the date of birth, we can now construct a timeline to measure SeaWorld’s culpability, including the breach of its promises to end captive breeding of its orca. In addition, Loro Parque’s recent statement under oath in a Spanish court denying that Morgan was pregnant and the records SeaWorld filed with the United States Government concerning the date of its abandonment and sale of the orca at Loro Parque, provides further evidence of unauthorized acts by Loro Parque exploiting Morgan for primarily commercial purposes in violation of EU law. The FMF will continue to seek the advice and counsel of our attorneys in Spain and The Netherlands.